Democrats in the state legislature are running a little late to get ahead of the blame game and convince voters any type of recall election by Republicans would be an overreach. Republicans are going to complain no matter what happens, House Speaker KC Becker of Boulder complained to the Colorado Sun. We suppose Republicans should just sit quietly on their hands while Democrats legalize drug injection sites all over the state for heroin and meth addicts. Well, everywhere except neighborhoods where Democratic lawmakers live. That was the first issue that sparked talk of recalls among Republicans. Now perhaps Republicans should nap on their desks while Democrats in the Senate this week strip Colorado of its voting power in presidential elections by eliminating the electoral college and moving us to the popular vote? No one wants, or expects Republican lawmakers to cry “recall!” because of every single bill the Democrats consider. But honestly, Democrats are pushing some extremely radical and controversial issues with which their own voters won’t agree. 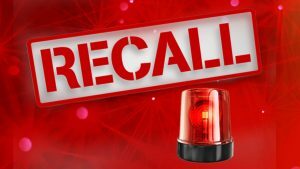 We will be surprised if recalls aren’t organized before this year is up, and Democrats will have no one to honestly blame except themselves.